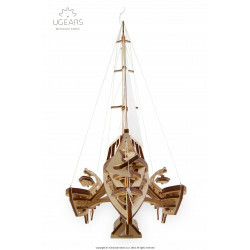 Did you know that the current record for the Round Ireland Race is 38 hours 37 minutes and 7 seconds and it is held by the Sultanate of Oman’s flagship trimaran Musandam-Oman Sail? The Race is a biennial non stop voyage starting and finishing at Wicklow. 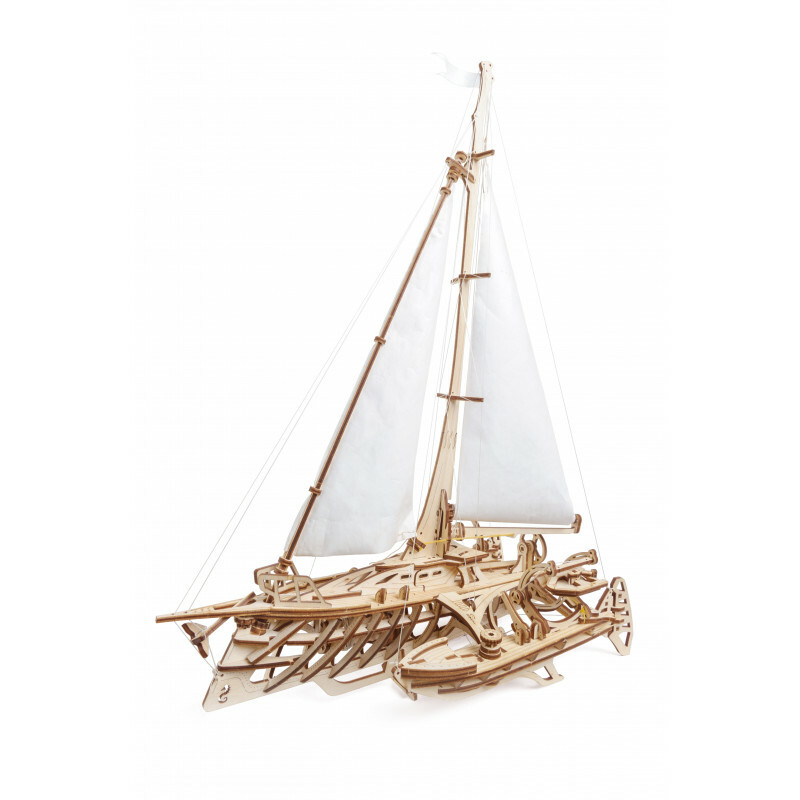 The distance is approximately 704 nautical miles. 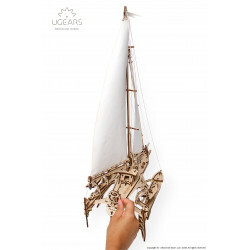 Get into the maritime spirit and become the master of the waves with TRIMARAN MERIHOBUS, our newest addition to the UGEARS mechanical 3D models family. 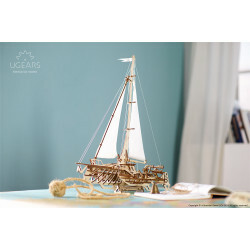 Trimaran is a type of boat that has three hulls allowing a super smooth sailing experience. 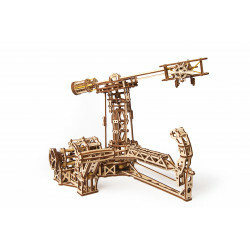 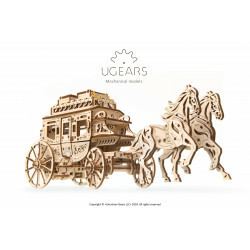 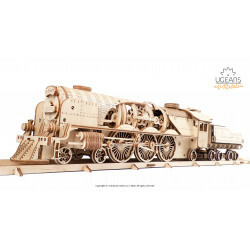 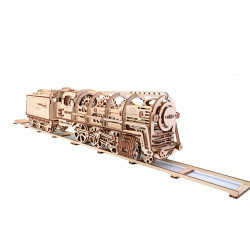 The key to success with this large wooden 3D puzzle kit for adults is a combination of speed and lightness. 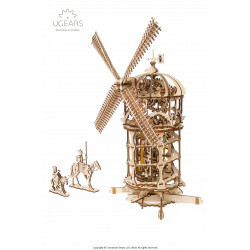 The skeleton-like design makes it possible to witness the symphony of internal parts and mechanisms and to appreciate the beauty of the elaborate design. 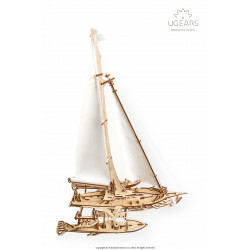 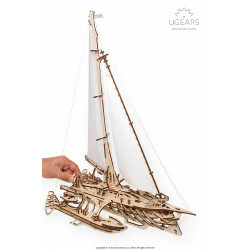 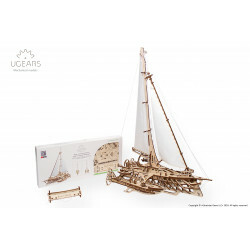 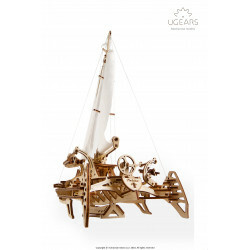 With its realistic engineering elements like rigging, hulls and winches UGEARS TRIMARAN MERIHOBUS is a top notch replica of an actual classic yacht containing numerous rotating and revolving parts used to lift or lower down the sails and to rotate the rudder. 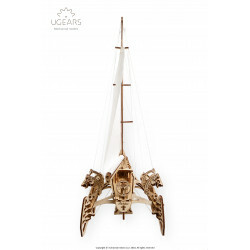 A cherry on the cake in TRIMARAN’s design is a tiny carved seahorse (also known as Merihobus) in the bow of the vessel which gives the boat her name. 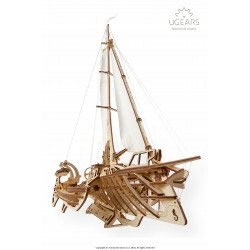 Trimaran comes with several templates for the ship’s flag. 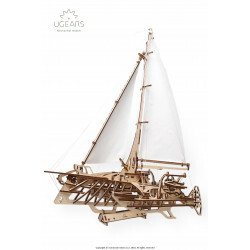 Design your own and hoist the ensign up the mast.